higher workload for teachers, will they maintain this in the long haul? Almost all teachers (16 out of 17) find the laptop and its layout easy to use. They think it is very intuitive and also feel that the students should not have much difficulty. Most of the teachers say it takes about 1.5 hours to fully recharge the computer and that the charge lasts for about 3 hours when the computer is in use. We had also asked the teachers, students and their family members whether they had any problem with different aspects of computer use. The biggest problem more than 50 % of the respondents mentioned was the jumpy cursor. The dust, the humid climate and the student’s sweaty hands as a result of running around might be contributing to the situation. The problem seems to be slightly more acute in Bashuki. I think OLE Nepal should try to upload all the books that are in the website to student laptops sooner rather than later ... Needless to say the parents and teachers are really looking forward to using the e-library. But eventually—albeit with some intervention on my part—the discussion turned towards how to modify the Turtle Art activity. I put together a tutorial with the hope that not only would I be satisfying the immediate needs of the teachers, but also, showing them that in fact they could, themselves, make the necessary changes to the program to meet their needs. I am hoping that I didn't make it too easy for them and that some of them will risk making changes—creating new instruments ... A dialog between teachers and developers has begun. The next step is for some of the teachers to become developers. I've asked a friend over to talk me through Patching_Turtle_Art. I'm lucky to have such a friend, otherwise I would have to ask dumb questions in public, which is not good for teacher ego since teachers are meant to know things already :-) I would identify fear of looking dumb as a major obstacle to these bridging explorations. Which things do what? How does walter know which python files have to be tweaked? How do you program more advanced stuff in python, eg. using lambda? Due to the reality of being a teacher (lack of time, large classes, the need to keep kids busy on task, schools and communities dominated by propriety software) all of the above is problematic - but as rob says a small % of teachers and a bigger percentage of students are open to it. One Media Player per Teacher (OMPT): I have just discovered this programme and include some selected extracts and links from their website below. 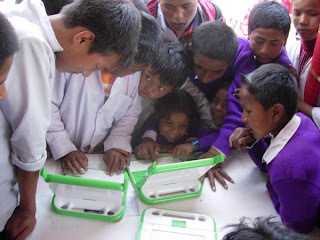 I'd see this as complementary to the OLPC project: lower cost technology can reach more children. 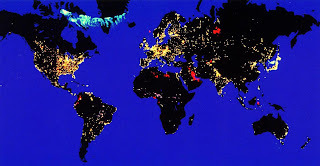 OMPT's mission is to help educate the world's poorest billion people with low-cost technology. Our goal of equipping 10 million teachers with portable media players supports the 2015 UN Millennium Development Goals. In more developed economies, we have seen the rapid spread of portable media players (PMPs) and downloadable audio files, including music, books, podcasts, and more. We already take these incredible developments for granted. Our primary use of these files is for casual entertainment. Few have considered the profound effect that PMPs and audio files can have in delivering educational content in the developing world. Rather than simply entertain, these same devices have the potential to save lives, alleviate suffering, and improve the quality of life by educating and training scores of people. This is the goal of OMPT. The information revolution can indeed reach the barely reachable. It can change their lives. For those trapped in poverty, the most valuable data on the Internet may not be Web pages, but rather sounds and images, because audio-visual files can educate even the illiterate. 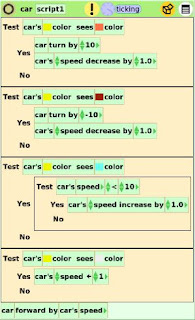 For more detail download the car tutorial activities from the squeakland site. My students and I are having a lot of fun with these! Have you heard this recently: "This is amazing, incredible, unpredictable, worse than we thought"
Marx said that capitalism was anarchy, that the boom-bust cycle was inevitable and that when it happened the economic experts would describe it as an unpredictable, like a natural disaster and too complicated to explain - not only before the event but also during the event. Marx was right? Who else was right? Some of the liberal blogs I read, who I don't think predicted this crash, are trying to blame it all on Bush. But more rational commentators are saying that this crisis has been at least 20 years in the making, which included some Democrat regimes. Unfortunately, economics is not my strong point. Who does get it? Economic oversteering Mark Shuttleworth, saw it coming in January ("Historians may well lay the real blame for current distress at the door of Alan Greenspan, who pioneered the use of morphine to dull economic pain"). Who else? Point me to their warnings before the crash. 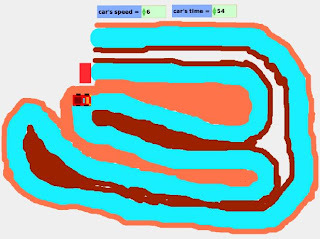 I've been using Etoys with my year 10 class at school and they are very much enjoying the beginners car tutorials. Kim Rose has announced the release of a new version (download release notes). 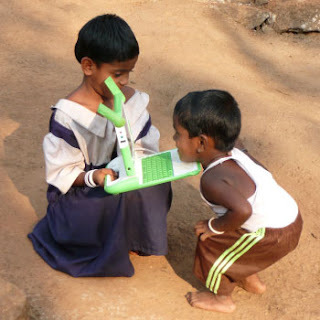 Since Etoys is on the OLPC there have been some systematic improvements happening. Default saving goes to a non existent folder C:\My Pictures\My Squeak and so saving fails. Solve this problem by holding down the mouse button on the Keep icon and then an option to navigate to a desired folder becomes available. This is not explained on the balloon help of the Keep icon, although it is explained on the balloon help of the Find icon. Can't find a timer? The clock on a script has a tick rate, the default is 8 ticks per second, but how can I program that to display a timer? How do you set the "preserve trash" preference mentioned in the trash can help balloon? There doesn't appear to be a version number? The basic problem for the Liberals is that they don't stand for anything different from what Labour stands for (Climate change agenda, Taming the Unions). And all that Labour stands for is anti-politics. Behind the Howard-Peacock wrangle was how to respond to Labor doing what the Liberals were supposed to, knobbling and winding down the trade union movement. Howard represented that section of the party that thought the Liberals had no choice but to carry on doing the same. This was after all what the party was about. The irrelevance of Howard’s Workchoices exposed that such a strategy had reached its end. Combine that with our government's anti-political agenda (we can't do anything decisive because the problems are either too global or too hard: anti-politics; our government) and what do we have? Apart from style (Rudd boring, managerial; Turnbull "exciting") there is no difference between our anti-political political leaders. But Labor isn’t in the clear either. Wong’s concession that nothing can be done to save the Murray at the beginning of August led to an outcry that quickly had her and Rudd running back down to the mouth a couple of weeks later to throw a few extra million dollars into water buybacks. 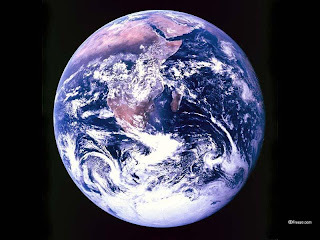 The problem for Labor exists within the chasm between their openness over the limited abilities of government and a claim to have a plan to change the globe’s weather. The gap between rhetoric and reality on the government’s climate change strategy is exposed at the lower end of the Murray and it is this gap right now that is a far greater problem for Labor than the media’s obsession over the economic impact in 2030. Labor’s inability to manage that gap and take the campaign directly to the Liberals in what should have been an ideal seat to do so, shows that climate change is an issue that has the capacity to be highly corrosive for parties. There are now closed and open editorial systems: they are different animals. By contrast a Marxist revolution or even the capitalist revolution against feudalism (which Marx supported), the new system overthrows the old system, the new system is antagonistic, is an enemy of, the old system. There is simply no point in continuing landlord-peasant relationships of production in an industrialised agricultural system. The landlords and peasants were wiped out and became capitalists and wage slaves. By contrast, as Rosen says, there is still a place for professional journalism in the post web world. I have only addressed a small section of Jay Rosen's blog here. Worth reading his full blog, his links and listening to him talk. Spam was sent out earlier today from my gmail account to my entire address book. My current hypothesis is that my gmail account password was hacked. I've changed the password and am hoping that will be the end of it. I'm running a couple of up to date virus/trojan checkers (McAfee and AVG) and they are not detecting anything of significance. Sorry for any inconvenience or confusion caused and thanks for the messages I received today informing me of the problem. A friend sent me an account of spoofing, where a worm fakes the addresses in your address book, you get bounce reports but no copies of the sent messages in the sent folder. This doesn't seem to be what is happening in my case, since the spam messages are in my sent folder. This is a comment I posted to the Its an Education Project (IAEP) list (September archive) in response to some members of Sugar Labs being sad about the first Windows XP OLPC pilot. constructionist software such as etoys, scratch, turtle art, drgeo etc. What other group, apart from Sugar Labs, offers this potential? Sugar Labs also offers this list as a discussion forum about these issues. Who else provides this? These things are not obvious to most teachers (for various reasons) but at least some of these things are obvious to a small but growing minority. If Sugar works well out of the box I think there would be small but significant and growing uptake. Another view (less optimistic) is to look at the history of computing since the 1960s and to realise that most of the important discoveries were made then and since commercial interests got a hold on it the true potential has been largely lost or very much obscured. eg. late binding provides a far superior environment to teach about variables but the dominant systems don't offer that option. MS has a long way to fall but strategically they have peaked are in decline. No need to be too alarmed by the thrashing around of a smelly dinosaur in a tarpit. Other commercial companies, such as Google, will eventually take their place. How does that sit with the Sugar Labs vision? Not sure. I'd see the issue as a practical one of getting the software to work properly. In terms of vision, strategy and future potential we hold the good cards. 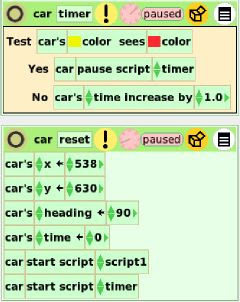 This program is customised geometry built from Squeak (formerly Smalltalk). I'm finding that it's great fun to play with. It's available on Linux, Windows or Mac as well as the OLPC. Hilaire Fernandes, the developer, has created over 60 short screencasts, in ogg format, which provides a great way to learn the program. 305-rotation-geometric-angle-degree screencast. Create an angle and then dynamically vary the angle - nice! 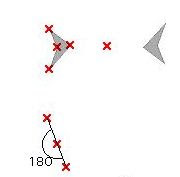 Rotate a polygon around a point and then vary the angle of rotation. This one is a lot of fun! Republican voters like guns and God and don't like gays and immigrants. They are narrow minded, racist and dumb. They suffer from cognitive inflexibility, they are too fond of hierarchy and fear uncertainty, change and death. Their "moral clarity" is simplistic nonsense. (2) the importance of fairness, reciprocity, rights and justice (fairness-reciprocity values). However, social groups have other values apart from those stressed by Mill. Durkheim pointed to the collective interest, to social binding, the suppression of selfishness and the need to punish deviants and free riders. For him the basic social unit was the hierarchical social family rather than the free individual. Durkheim recognised the danger of anomie or normlessness. For the social good, self control is more important than self expression, duty more important than rights and group loyalty more important than the interests of minority groups. He describes social morality as like an audio equaliser with five slider switches, for Republicans, but with only two switches for Democrats. In the current election it makes very good sense for McCain to choose Sarah Palin as a running mate with a deep appeal (one that he lacks) to the Christian social base. The outpouring of elitist social righteousness from many Obama supporters (documented in ... twenty first century witch) illustrates that they don't get it - and hence they risk losing the unlosable election. When the main focus of your campaign becomes that your opponent is a liar and his running mate is a witch, then you are in trouble. It's well worth reading the Haidt article in full and the rest of the discussion from The Edge contributors. In Australia we once had a politician by the name of Pauline Hanson, who stood for traditional values, questioned our immigration rates and could possibly be described as a racist. She wasn't particularly articulate or impressive in an interview. However, the more she stumbled when responding to the "superior", condescending liberal intelligentsia who thought they were exposing her inadequacies -->>> the more popular she became <<<--. In 1998, her party, One Nation, attracted nearly one-quarter of the vote in that month's State elections in Queensland. 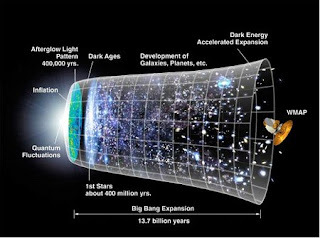 The Universe began 13.7 billion years ago in an immensely hot, dense state much smaller than a single atom. It began to expand. After about a million billion billion billion billionth of a second gravity separated away from the other forces. The Universe then underwent an exponential expansion called inflation. In about the first billionth of a second or so the Higgs field kicked in and the electrons, the quarks and the gluons that make us up got mass. The Universe continued to expand and cool. After a few minutes there was hydrogen and helium in the Universe. That's all. The Universe was about 75% hydrogen and 25% helium. It still is today. It continued to expand for about 300 million years, then light began to travel through the Universe as it was big enough to be transparent to light. That's what we see in the cosmic microwave background. George Smoot described this as looking in the face of God. After 100 million years the first stars formed and then the hydrogen and helium began to cook into the heavy elements. So the elements of life - carbon and oxygen and iron - all the elements that we need to make us up were cooked in those first generation stars which ran out fuel, exploded and threw the elements back into the Universe. They then recollapsed into another generation of stars and planets and on some of those planets the oxygen which was created in those first generation stars could fuse with hydrogen to form water on the surface. As Carl Sagan said these are the things that hydrogen atoms do when given 13.7 billion years. The laws of physics are beautifully balanced. If the weak force had been a little bit different then the carbon and oxygen wouldn't be stable inside stars and there would be none of that in the Universe. I think that's a wonderful and significant story. Fifty years ago I couldn't have told that story because we didn't know it. Our civilisation has emerged purely through the laws of physics and a few hydrogen atoms. This site has been upgraded and it is a quantum leap better than the old site (frustration). I'll be able to use it as a very useful resource in teaching etoys to my students, one of the xo activities. The person consulted with some people nearby and eventually responded saying "Hey brudda we don't know nutthin 'bout that stolen generator". I have created a wiki, http://xo-whs.wikispaces.com/, where some of the year 10 students at my school are evaluating Sugar activities. I'm interested in feedback: billkerr (at) gmail (dot) com, if you don't want to leave a comment here. I'm using it to record my own exploration of the activities. At the moment we are looking at Turtle Art and Dr Geo II. Learning a lot and it's interesting. I'm very happy that I've finally worked out a way to play with the Sugar activities in a collaborative context. Working with Sugar provides a great context for new learning. Many of us have been trapped against our wishes in MS Windows dominated school environments for years. Given that teachers are always very busy there has been little incentive to learn linux, for example, when it is not used in your work environment. I remember I tried years ago but gave up due to workload pressure. Two of my year 10 students know more linux terminal commands than I do so I'm now under pressure to keep up with them. It's great! One of my year 10 students has built a jabber server, which we can use locally to enable the collaborative features of Sugar. Sugar labs is the main home of sugar and seems to be powering along at the moment. The 2006 census employment and housing data suggest that about 270,000, or half of all 540,000 indigenous Australians, are on welfare. The first key conclusion of Overcoming Indigenous Disadvantage (a government report) is that there is a 17-year gap between indigenous and non-indigenous life expectancy. This is simply wrong. Indigenous people in mainstream society have similar life expectancy to other working Australians but the gap for indigenous welfare recipients is probably well above 20 years.